A towering masterpiece of gothic fiction, Mary Shelley’s Frankenstein: or, the Modern Prometheus brought to life the horror and science fiction genres and spawned countless cultural offspring. With the image of the stumbling, flat-headed, boltnecked monster Boris Karloff made famous so pervasive, it’s easy to forget how radical, insightful—and, yes, terrifying—the book is on its own terms. 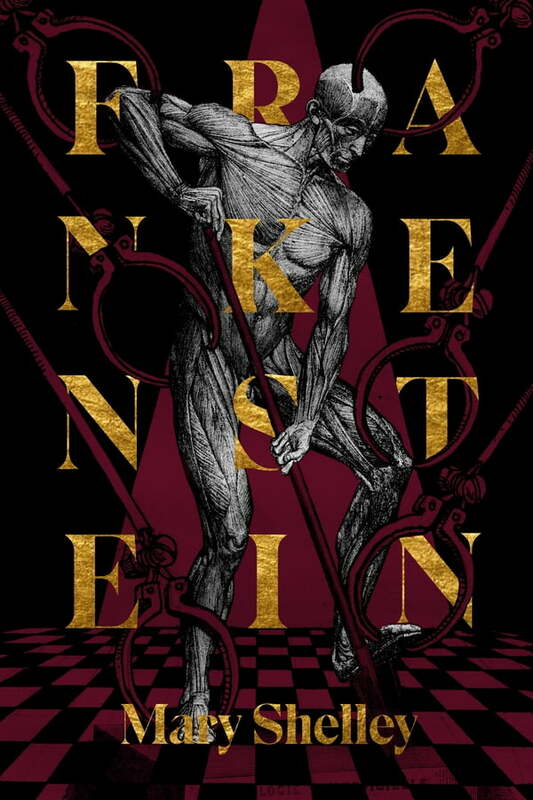 The would-be Prometheus of the book’s title is the brilliant Swiss scientist Victor Frankenstein, whose studies in natural philosophy and chemistry lead him to become obsessed with building a living being out of old body parts and bringing it to life. But when he is miraculously successful, Victor is horrified at his creation, and the monster escapes into the night. Given life but little else, Frankenstein’s creation turns to violence and, soon enough, vengeance upon his creator. Mary Wollstonecraft Shelley (1797–1851) was an English novelist, short story writer, dramatist, essayist, biographer, and travel writer, best known for her Gothic novel Frankenstein: or, The Modern Prometheus (1818). She also edited the works of her husband, the Romantic poet and philosopher Percy Bysshe Shelley. Her father was the political philosopher William Godwin, and her mother was the philosopher and feminist Mary Wollstonecraft. In 1816, the couple famously spent a summer with Lord Byron, John William Polidori, and Claire Clairmont near Geneva, Switzerland, where Mary conceived the idea for her novel Frankenstein. Her novels include Valperga (1823), Perkin Warbeck (1830), The Last Man (1826), Lodore (1835), and Falkner (1837).